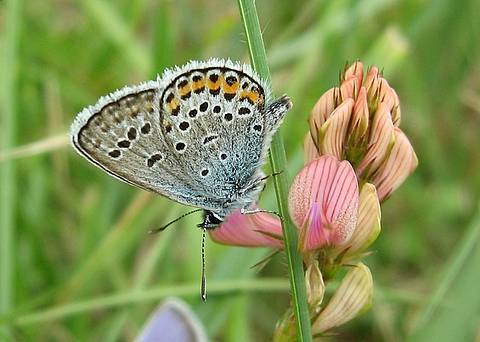 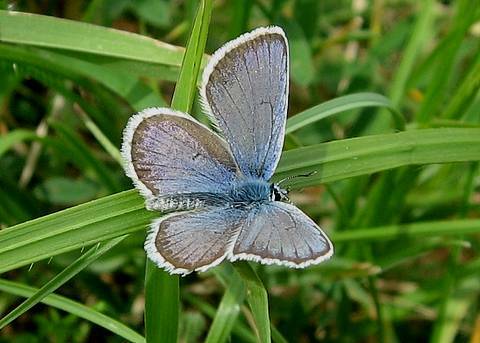 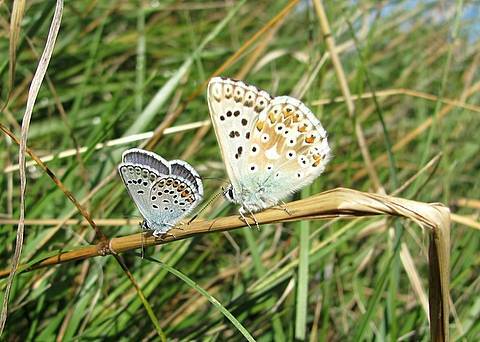 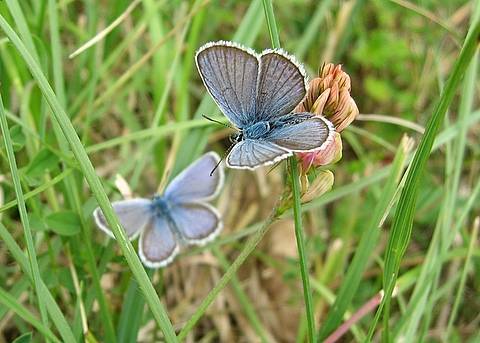 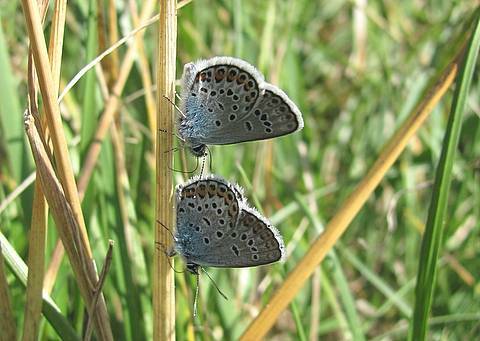 The Silver-studded Blue is quite a widespread butterfly although occurring rather locally in many areas. 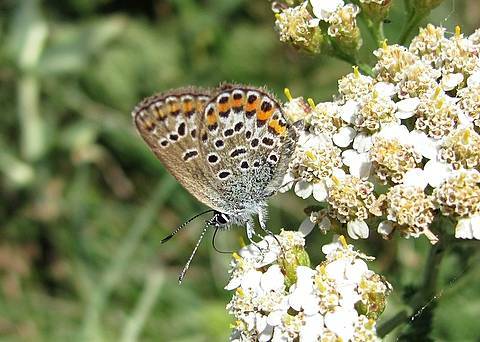 The caterpillars seem to have adapted to feeding on quite a wide range of food plants according to the locality so it may be difficult to understand where the butterfly will occur at the local level especially as colonies may be discrete. 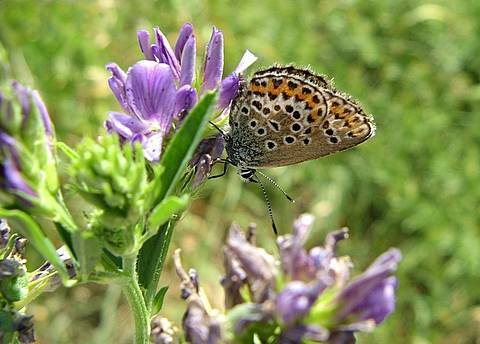 A close relationship with ants is another reason for the very local distribution of the species. 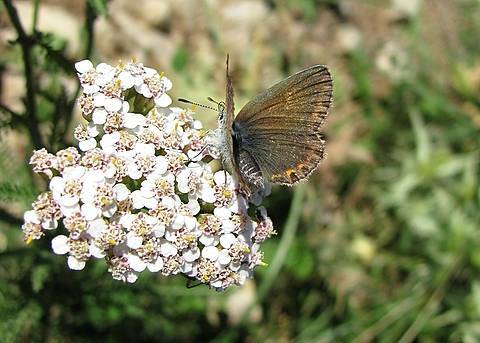 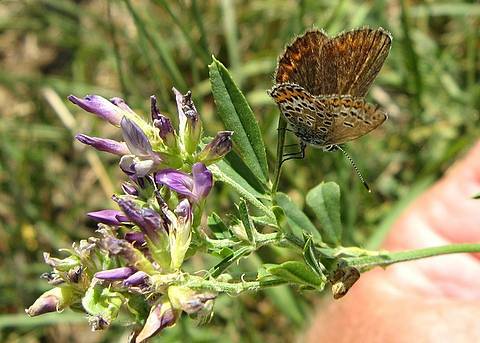 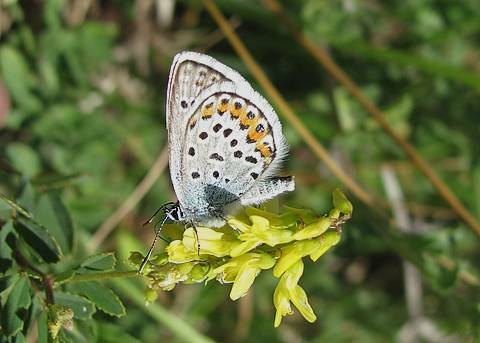 The butterfly is really pretty small in comparison to other members of the Plebejus genus and typically the male has distinctive, wide dark borders to the upper forewings and some dark veining on the outer half of the wings. 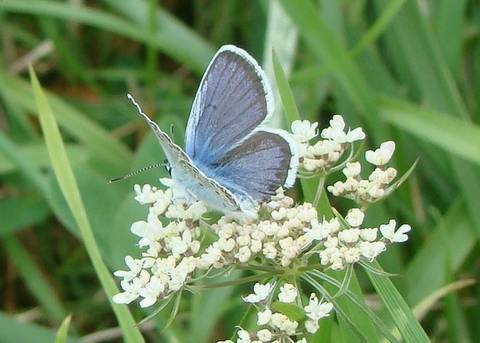 Also space 6 on the upperside of the hindwing is noticeably invaded by black scaling, whereas this space is clear blue in the similar P.idas and P.argyrognomon. 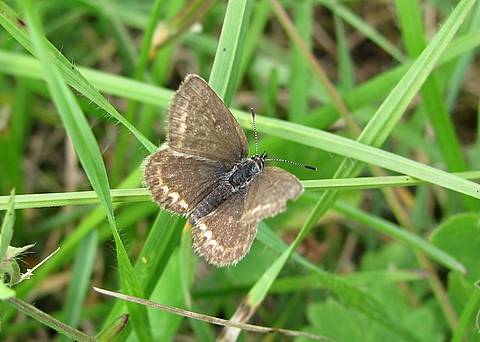 Some of the black spots in the marginal row on the underside of the hindwing may have shiny centres but these are often absent or vestigial as these photos clearly show.